Five women pick up backpacks and trudge into the Aussie outback. The hike is meant to take the office colleagues out of their air-conditioned comfort zone and teach them some team spirit. It goes badly. Really badly. Only four come out the other side. A page-turner of index finger injuring proportions, Harper's whodunnit jumps deftly across two timelines — present and past — as two financial unit cops investigate the company who configured this ludicrous outing, but get sucked into a far more sinister line of enquiry. It's a twisty one and it's written with the confidence and casual readability of an author who should have way more than just one book to show prior to this. Her debut novel, The Dry, focuses on the same lead character as Force Of Natureand gripped actor-turned-producer Reese Witherspoon to such an extent that she optioned movie rights. Witherspoon, of course, was the first person to recognise the appeal of Gillian Flynn's Gone Girl, securing the film rights before the book was even published and she nabbed Liane Moriarty's Big Little Liesbefore making it a multiple Emmy-winning drama starring Nicole Kidman. You sense there's more to come. 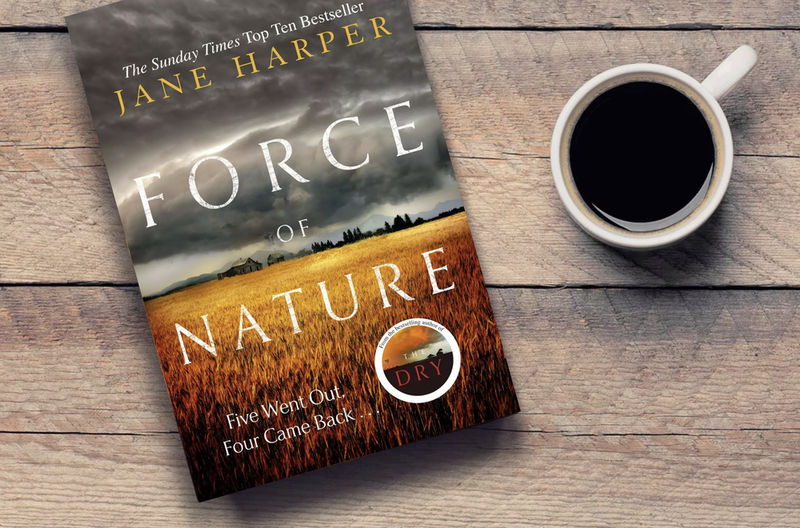 Get on Harper as soon as is humanly possible, she has an ease with words that make for barbaric bouts of binge-reading and a flair for suspense that'll have you missing your bus stop.